The Occupational Safety & Health Administration (OSHA) requires construction employers to make "frequent and regular inspections" of your work areas for the purpose of identifying potentially unsafe employee actions and working conditions. SafeDay can help you meet OSHA's inspection requirements by conducting thorough evaluations of your facilities and construction sites to identify safety & health hazards, loss exposures and potential violations of OSHA regulations. Safety and health audits can be scheduled on a weekly, monthly, quarterly or as needed basis. All audits will be performed by an experienced construction industry safety and health professional. A hand written report of audit findings and recommendations will be left with the site superintendent/manager at the conclusion of each audit. Following each audit, you will receive via email/fax a complete report of findings with photos, applicable OSHA standard references and corrective action recommendations. 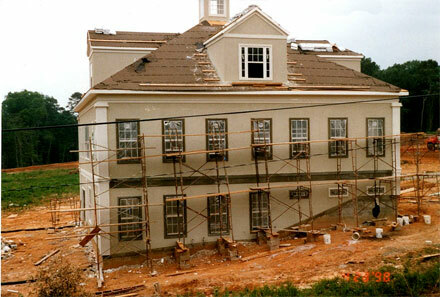 Scaffold with numerous unsafe conditions that violate OSHA safety regulations. At Yarbrough Transfer we take great pride in keeping our employees and facilities safe and in compliance with OSHA regulations. 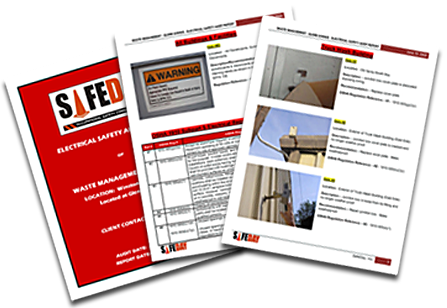 SafeDay, Inc. has helped us meet our safety objectives through comprehensive audits of many of our facilities. SafeDay’s detailed reports are easy to understand and their recommendations are easy to implement. I would highly recommend SafeDay, Inc. for any company needing professional expertise with workplace safety matters. Thank you Scott for all of your help!